The Federal Emergency Management Agency again denied a plea for funding needed to repair public infrastructure damaged by widespread flooding earlier this year, Hidalgo County Emergency Manager Ricardo Saldaña said last week. 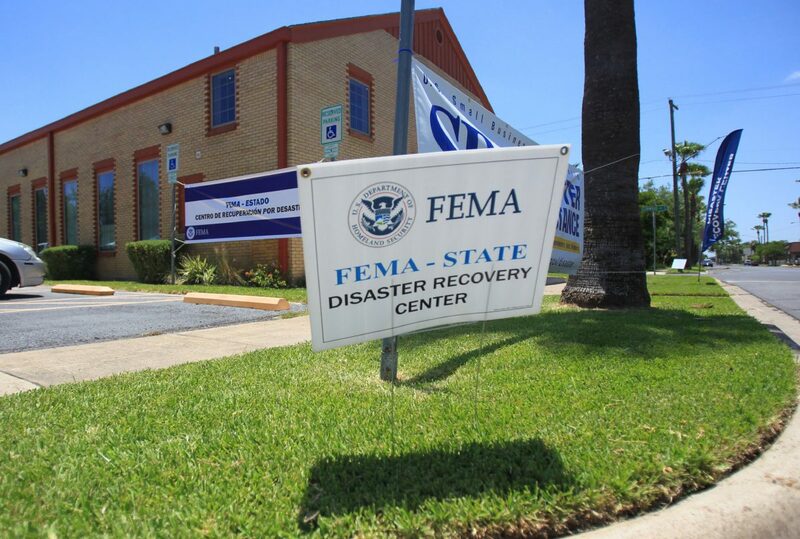 It’s the second time FEMA denied providing grant money, offered through its public assistance program, to local and county governments in Hidalgo, Cameron and Jim Wells counties, areas inundated by floodwaters in June. In early September, county and city leaders urged FEMA to conduct a reassessment of damaged public property, including roads, during a closed door meeting. FEMA agreed and inspected the areas again last month. Leaders were notified last week that FEMA found public property damage didn’t amount to at least $36.7 million, the agency’s set threshold needed to qualify for public assistance. During disasters, such as the June flood, the state’s damage to public infrastructure needs to meet the threshold. During the first assessment, FEMA estimated the three-county region sustained $18 million in damages. The city of Weslaco estimated dozens of roads in its jurisdiction were damaged by lingering rainwater. The drainage system was also affected by dense runoff from the storm. In Hidalgo County Precinct 1, public property damage amounted to about $26 million, according to Commissioner David Fuentes. Precinct 1 offices on Joe Stephens Avenue were damaged and have been operating out of Weslaco City Hall. Mercedes also sustained damage to public property. “It appears we’re going to have to play hardball,” Mercedes Mayor Henry Hinojosa said, adding that leaders will have to regroup to find a solution to repairing damaged infrastructure. Residents in the region qualified to receive grant money to repair private property damaged by the flood, which affected Weslaco, McAllen, Mission, Harlingen and other areas. Home and business owners as well as renters were urged to apply for aid by Sept. 4, two months after the president signed a federal disaster declaration. As a result, FEMA approved $30.2 million in individual assistance funding to 5,079 applicants, according to its website. The funds are not intended to cover the rebuilding of homes, rather to repair property to a “functional” status, a FEMA spokesperson previously said. Without the help of the federal government, cities, school districts, counties as well as drainage and irrigation districts must pay for repairs to public infrastructure, such as roads and ditches, damaged by flooding.